So often camping holidays in the UK are sodden affairs that don’t offer the kids much opportunity to get out and play and leave the parents feeling miserable and claustrophobic. If this rings a bell with any of your experiences from camping within the UK have you ever thought about taking a trip abroad to go camping? 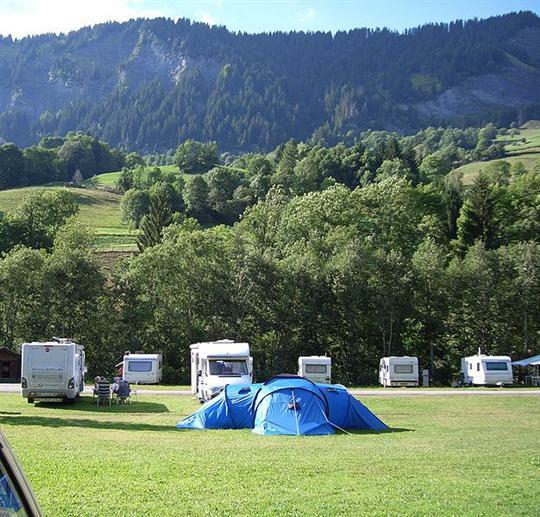 Camping in France and across most of central Europe is popular amongst the residents of those countries and it is becoming increasingly popular with campers from the British Isles. Camping in France: Who to book with? A camping trip abroad can be a cost effective way of enjoying some sunshine and also offer all the same charm that a camping trip in the UK provides. Pitching up a tent in one of Frances glorious regions with their scenic countryside and enjoying their culinary delights goes down as one of my favourite family holiday destinations of all time. France provides almost guaranteed sunny weather and a huge range of diverse locations to choose from. To get a better idea of what the country can offer and to explore camping opportunities we recommend Thomson Al Fresco who specialise in camping and outdoor holidays. If you visit their website you will be spoilt for choice because they have a wonderful range of camping destinations that are spread across every popular region of France. To help you make your decision I here’s my quick guide to French camping destinations based on my families experiences in the country. If you have an adventurous side and you enjoy walking and hiking the French Alps is the perfect choice for you and your family. The Alps are renowned for their amazing and spectacular views from the valleys between the rising peaks of the mountains. There are numerous highly regarded campsites in the Alps that offer great access to the lakes, villages and towns that are scattered across the mountain range. Chamonix is a popular destination that has plenty of tasty restaurants and bars to explore. Renowned for its endless sandy beaches Brittany is one of the most popular destinations for anyone thinking of camping in France. Children will relish the prospect of spending all day on the sand and exploring the hidden coves and rock pools that are a feature of most of the regions beaches. Camping in the countryside that surrounds the French capital is is a great destination for people who like to explore cities. Paris is obviously easily accessible by car and Lyon is only a stone’s throw away as well. Paris has a great number of interesting sightseeing opportunities to take advantage of including the world famous Eiffel Tower and the Arc De Triomphe. Disneyland Paris is also close by which will keep the kids happy because it is one of the top theme parks in Europe. While most people prefer to go camping in the summer months because of the almost guaranteed sunshine and hot weather, it should be said that France often has glorious conditions in early spring and during autumn. Out of season the prices can also be found as low as half price. Tom Watson is a travel writer who has spent a lot of time abroad with his family and this is something that he enjoys sharing amongst the blogging community so that others can enjoy the same experiences. I’ve been camping in the French Alps about 3 years ago and I can highly recommend it. The nature is just superb, the food is good and the campsites are usually at great locations. Only the % of people who speak English is quite low, which is a pity, otherwise it’s really great!